Justin Neuhardt is an accomplished furniture craftsman and visual artist, focused on incorporating salvaged materials to reimagine their purpose as functional and abstract art. He works from his Pigeon Kingdom Studio in Venice, California and in the art department on film and television productions and events throughout the Los Angeles area. Justin also has twenty years of experience performing as a drummer and percussionist. He has toured and recorded with various bands and musical projects all over the world. 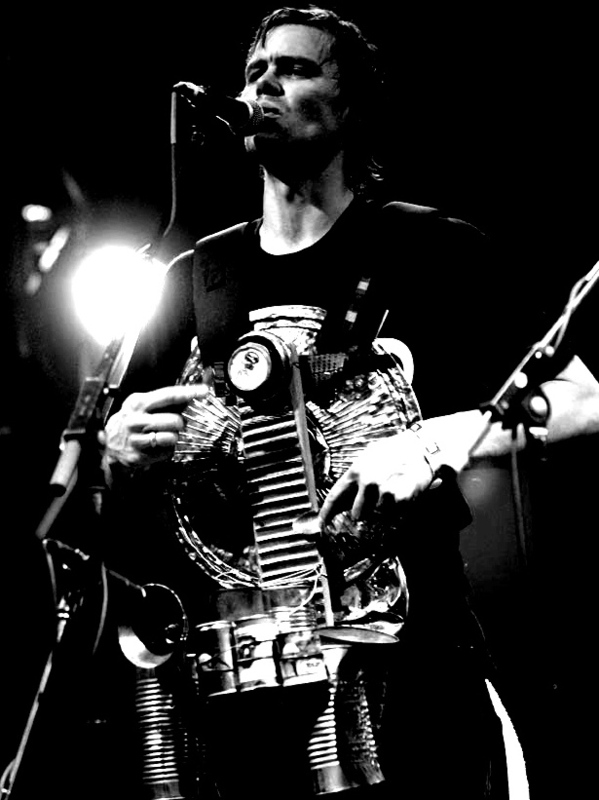 As a resourceful musician, Justin created his own percussive instrument he calls a Charismo that has drawn wide attention as a unique instrument and assemblage sculpture. Please contact Justin with inquiries about purchasing his custom made furniture, Charismos, or visual art and to collaborate on music or art department projects.